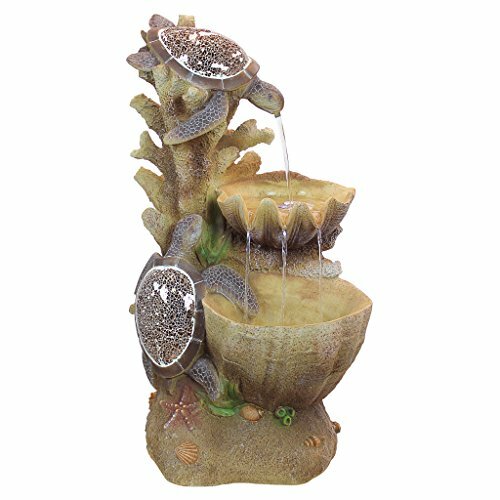 Our Turtle Fountain is sure to bring a smile and is the crowning statement in your garden or on your patio. The unique turtle shells boast thousands of grouted mirrored glass mosaic pieces that reflect wonderfully on a sunny day! Our turtle fountain emulates nature in action, both the shell pools are lit by the included LED light kits, you can enjoy this fountain in the evening accompanied by the lyrical sound of water music. 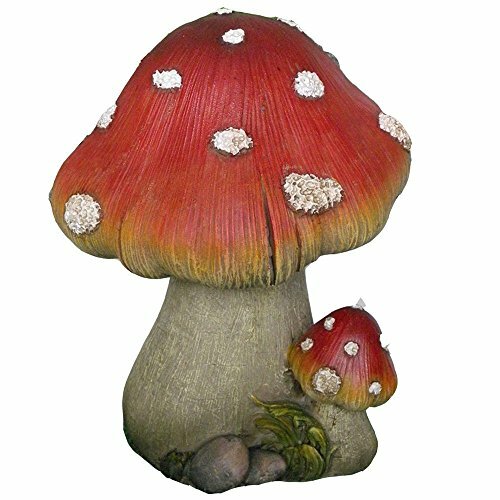 Cast in a hand-finished designer resin for easy assembly in your home or garden, this splendid, Design Toscano-exclusive fountain features an integrated, UL-listed, indoor/outdoor pump. Bring inside during freezing temperatures. 19″Wx16½”Dx34″H. 40 lbs.